Techweek D.C. will be held from September 29th through October 6th in Washington, D.C. 3Pillar Global will be a sponsor of this year’s conference, and will also present our Product Mindset Workshop on opening day. Techweek is the nation’s leading technology conference and festival, and is hosted in 10 different cities across the United States and Canada each year. The week-long conference aims to “help entrepreneurs solve their fundamental problems of raising capital, recruiting talent, selecting advisors, and gaining recognition” within the community. The conference will feature presentations, fireside chats, panels, forums, showcases, and forums across its six days. 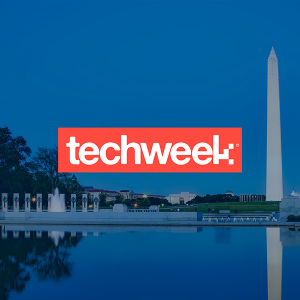 Techweek D.C. is a part of the larger Techweek Conference, which will also be held in Detroit, Chicago, Toronto, Kansas City, New York, Dallas, Los Angeles, and Miami this year. Techweek is a purpose-built conference and media company with week-long conferences throughout the year. Techweek partners with tech leaders, corporations, and the community to build a unique experience for investors, entrepreneurs, and high-growth tech businesses alike. For more information on Techweek D.C., including a full agenda and information on how to register to attend, please visit the official conference website. 3Pillar’s Product Mindset Workshop will take place at Eastern Foundry in Rosslyn, VA.